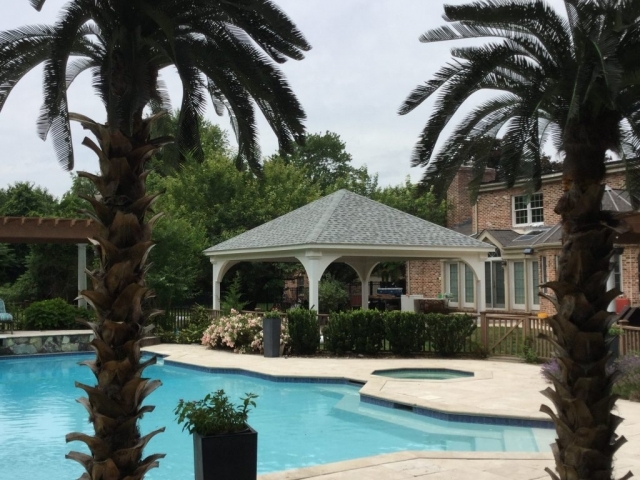 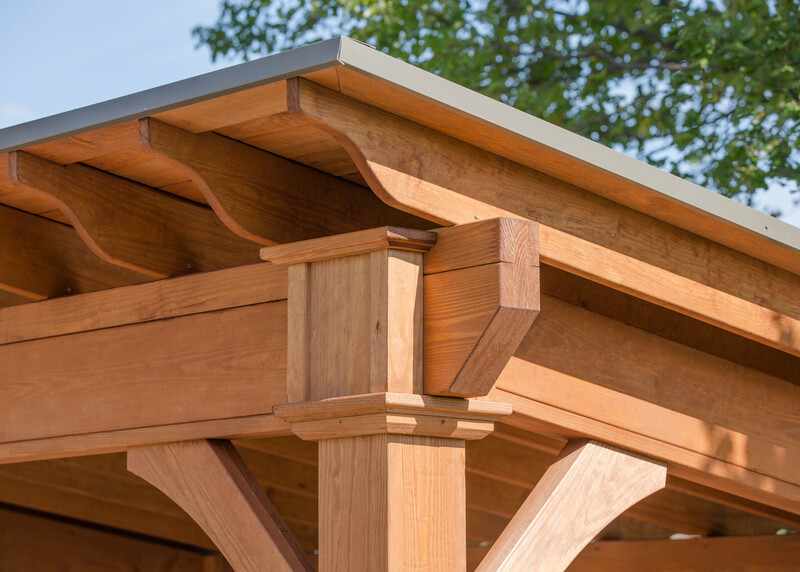 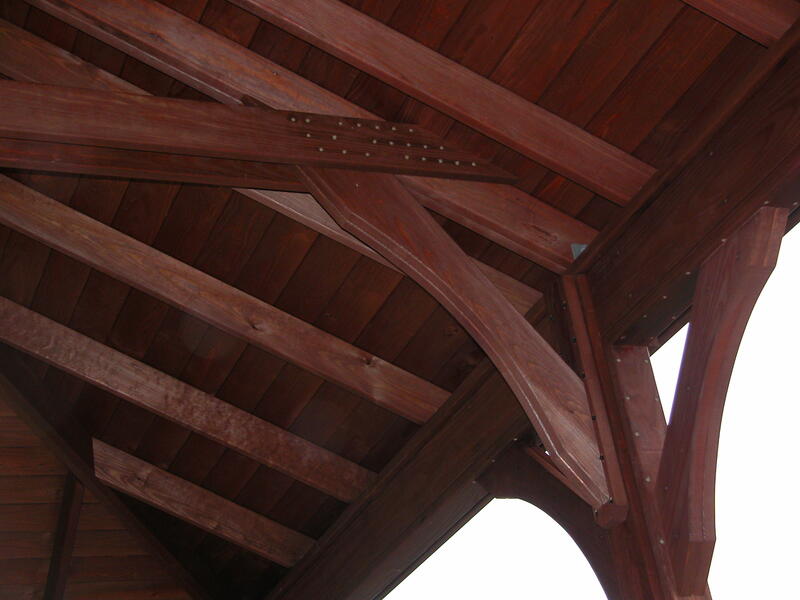 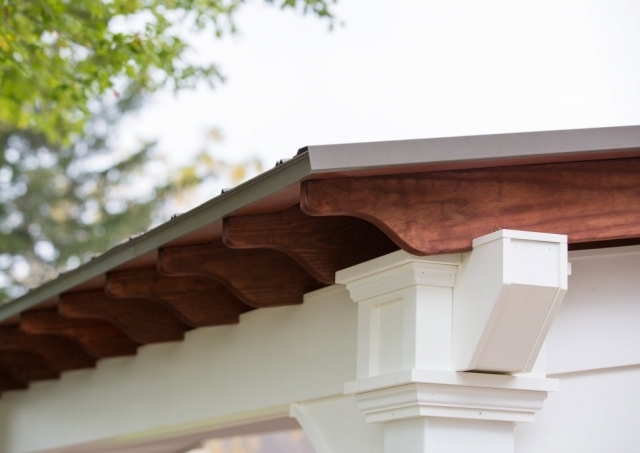 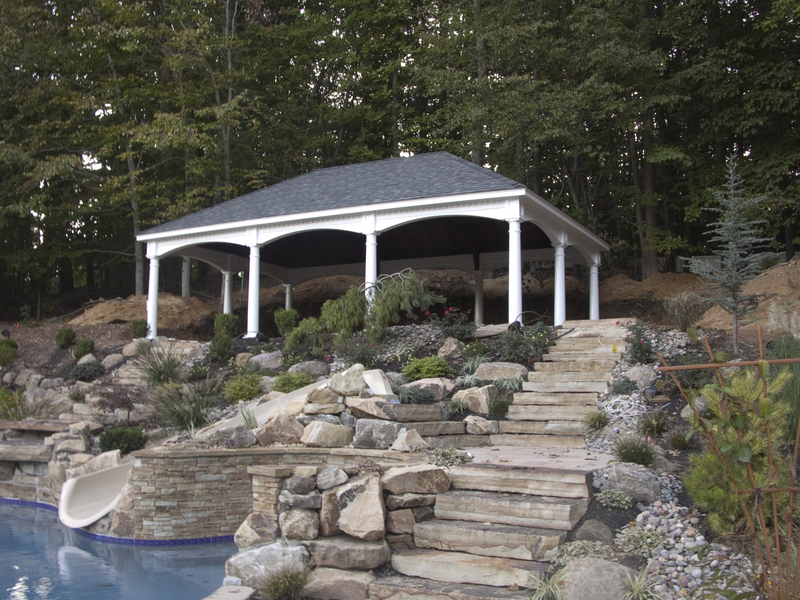 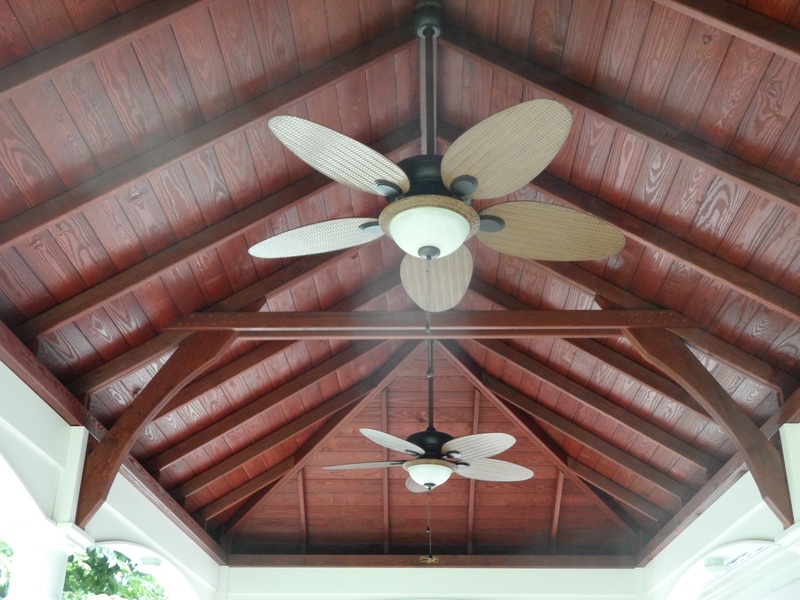 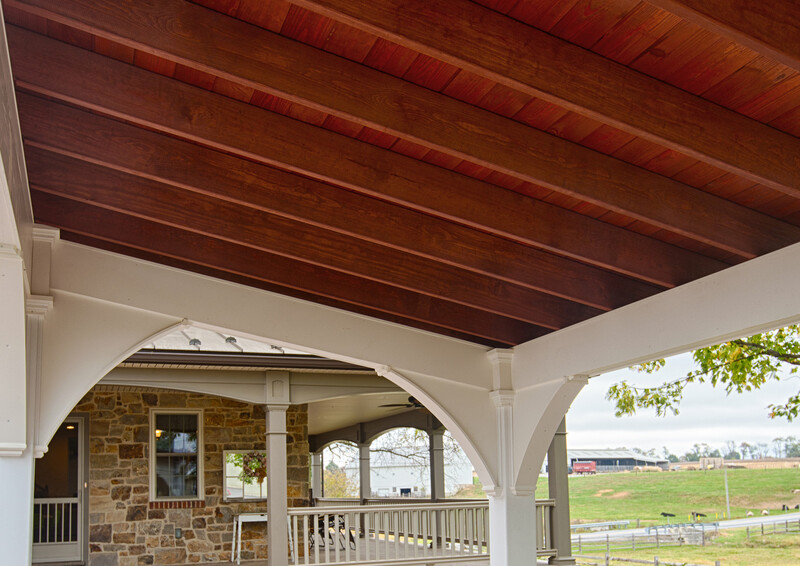 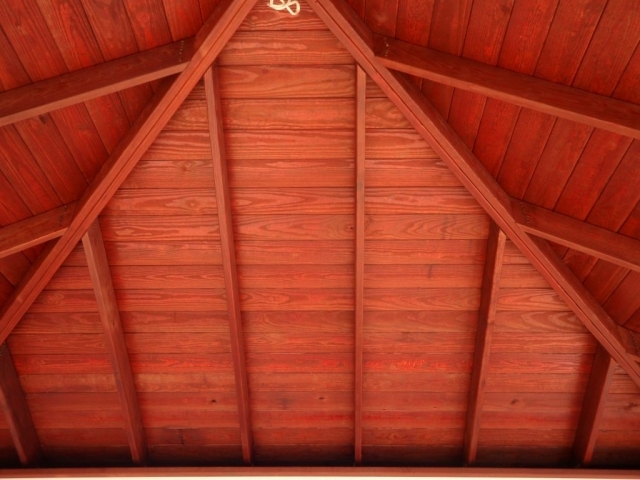 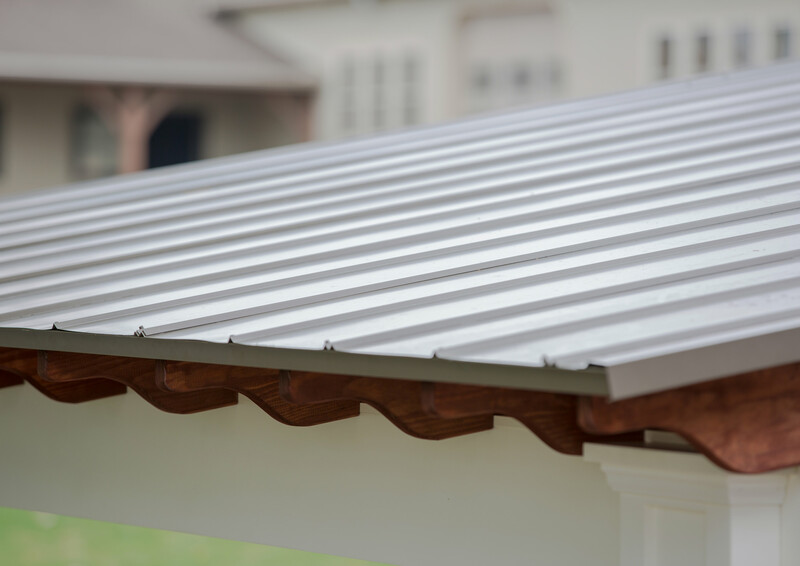 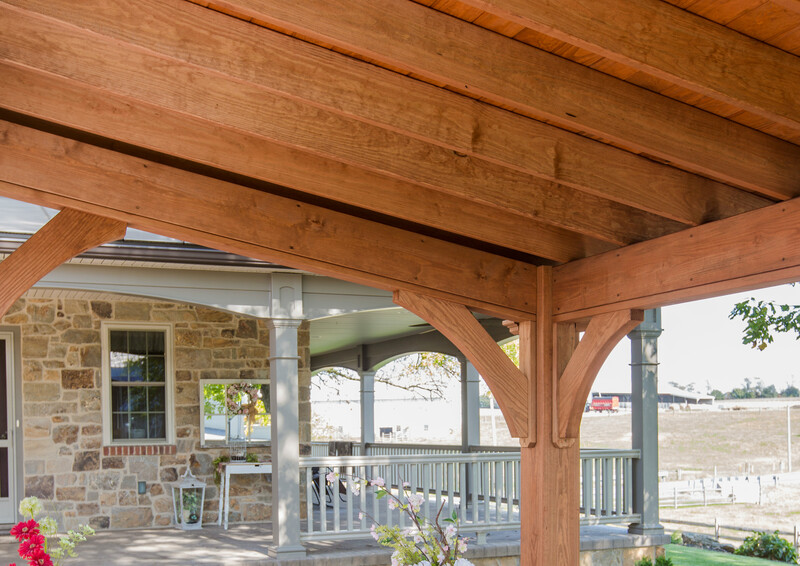 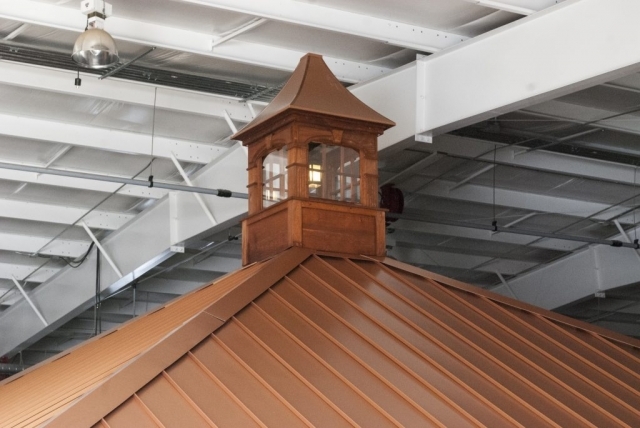 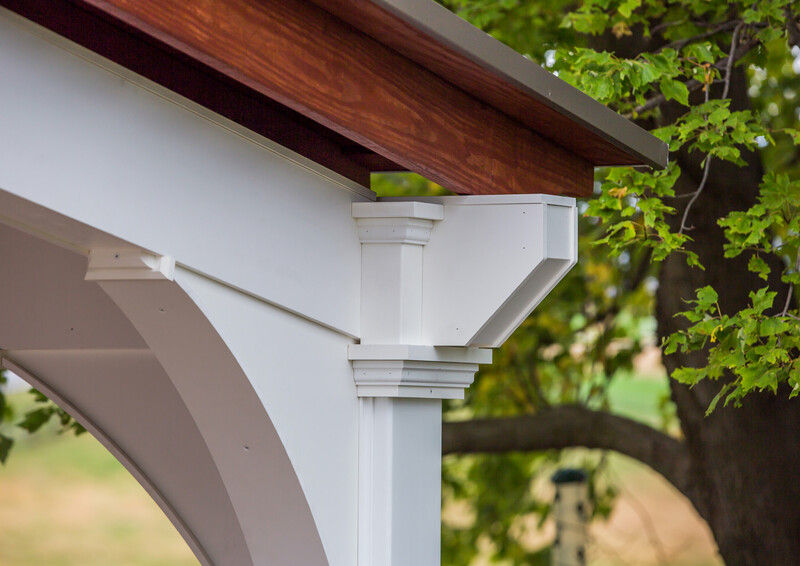 Our Alpine pavilions provide timeless craftsmanship and style for your property. 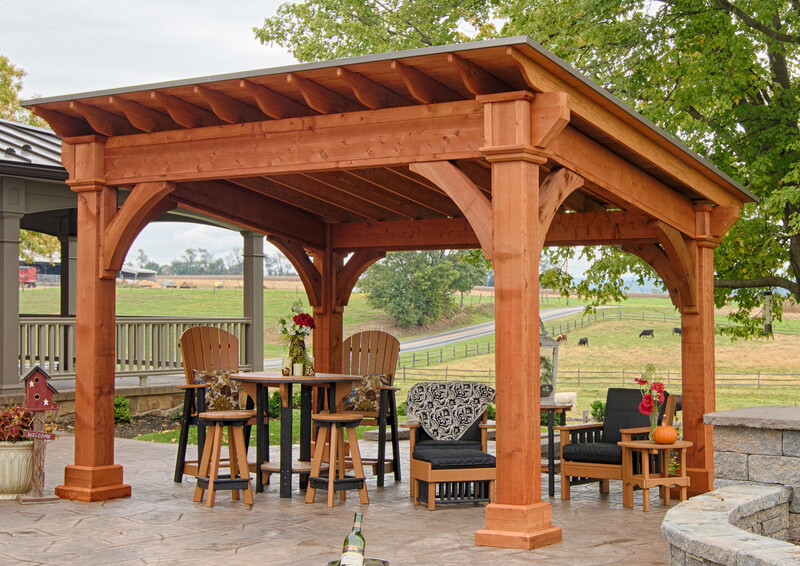 These Amish-built structures will be the admiration of your family and friends during any outdoor party. 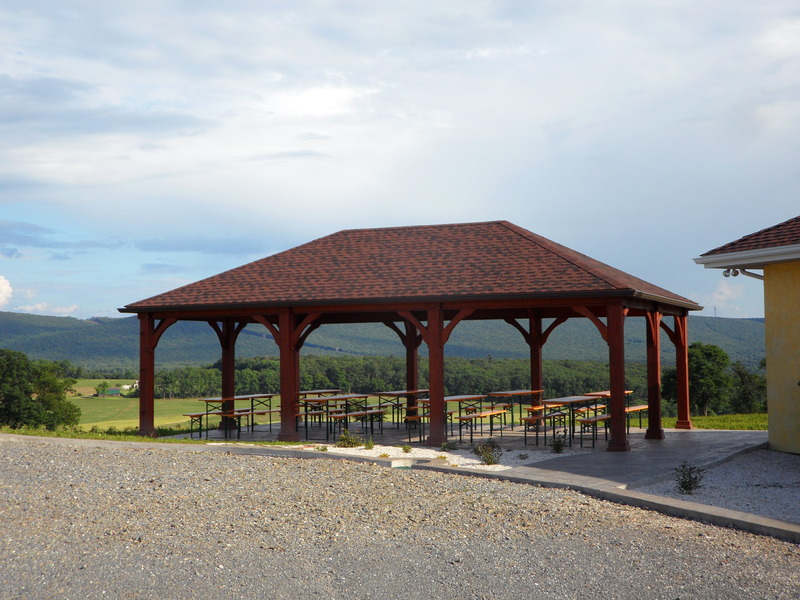 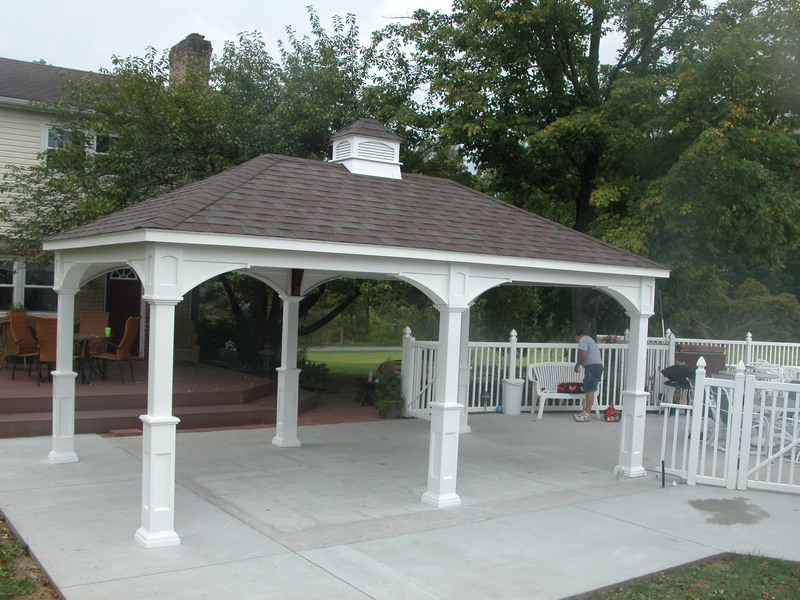 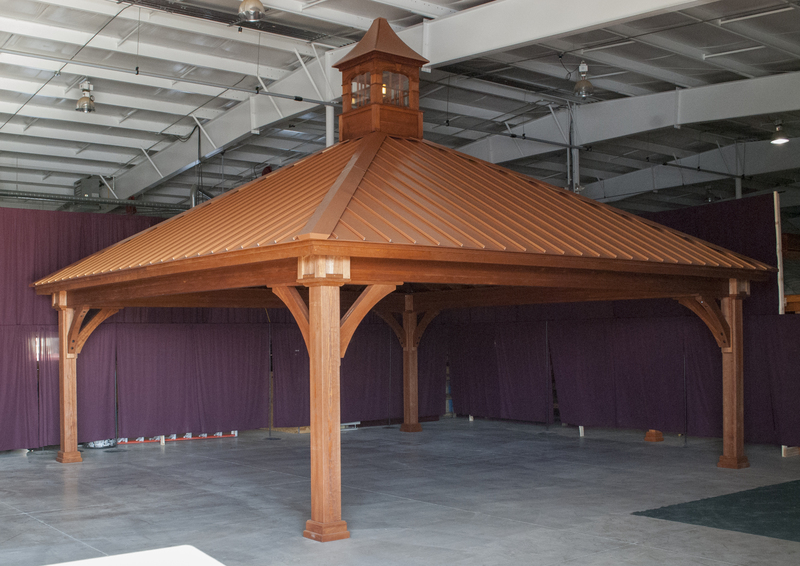 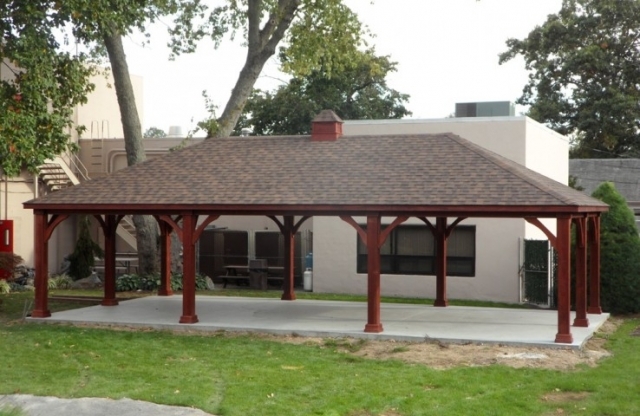 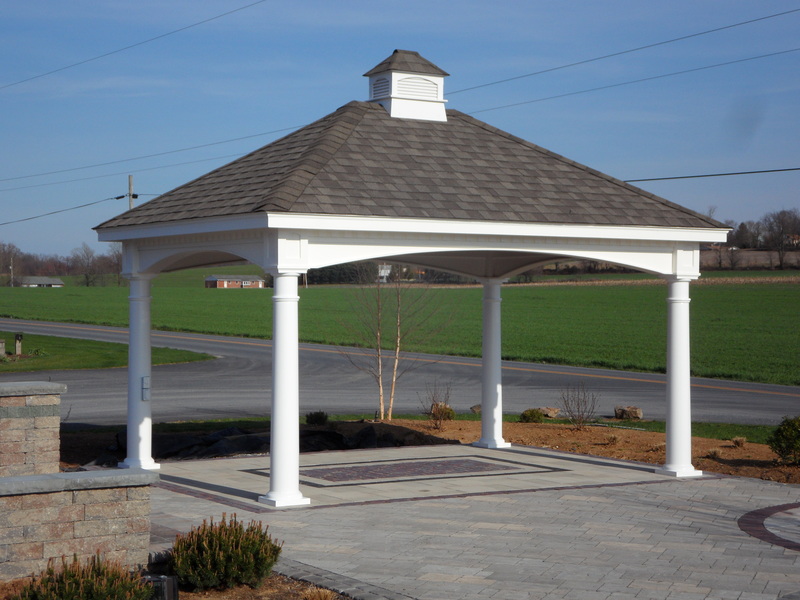 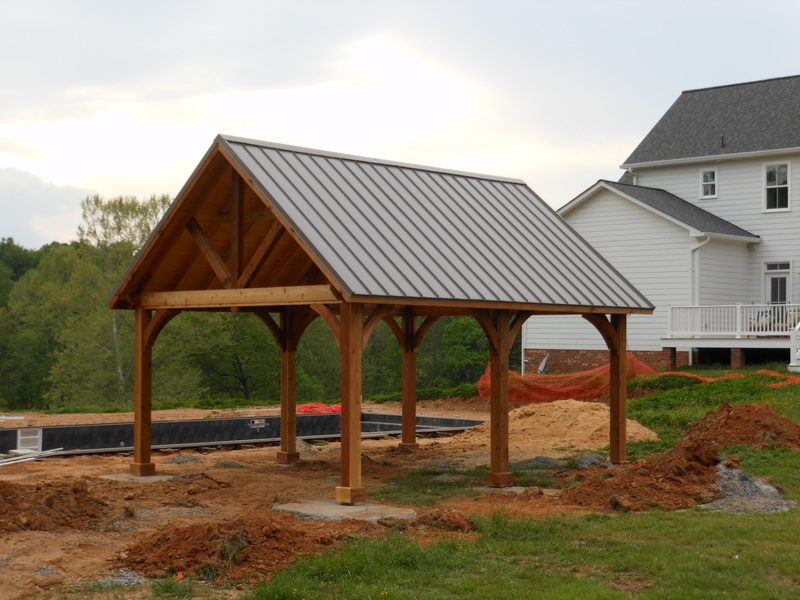 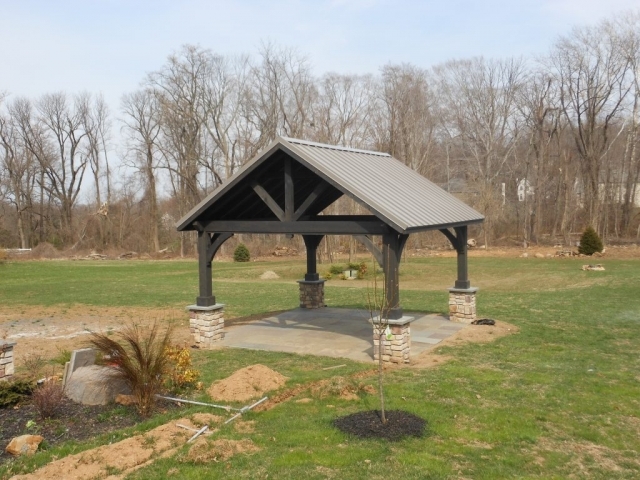 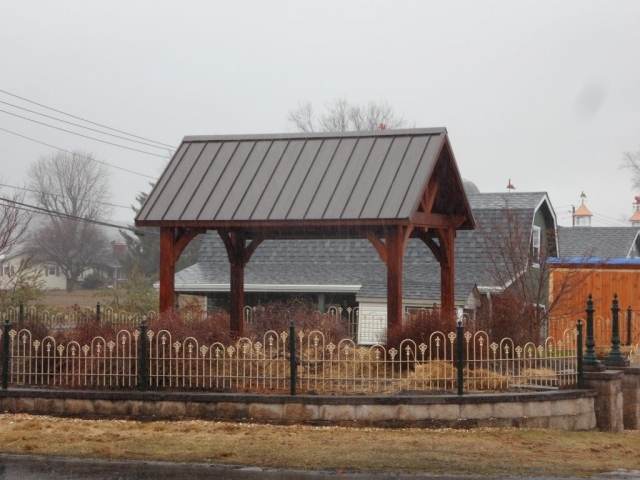 Let J&L Amish Depot build a grand estate pavilion for you. 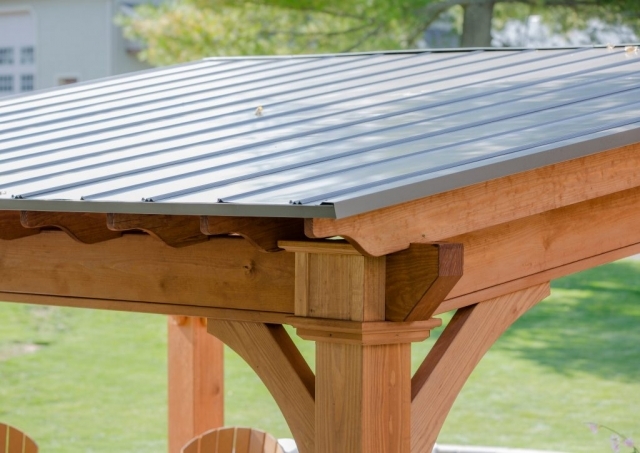 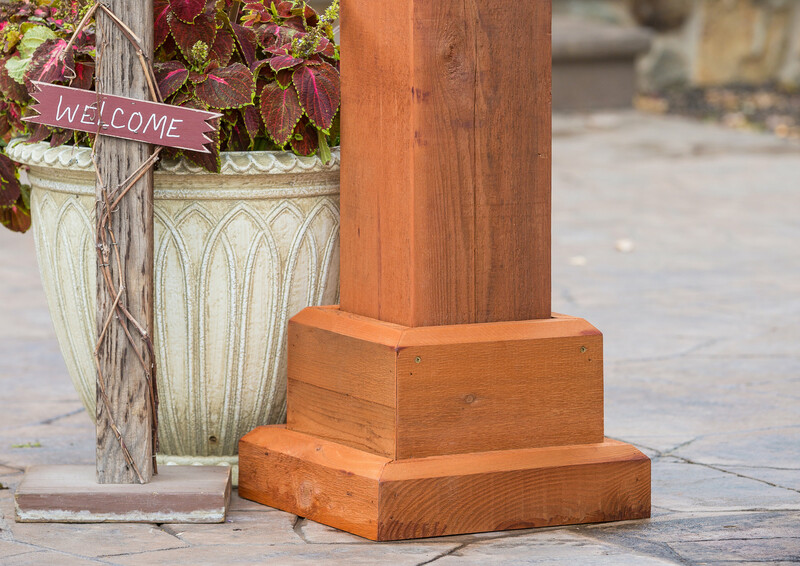 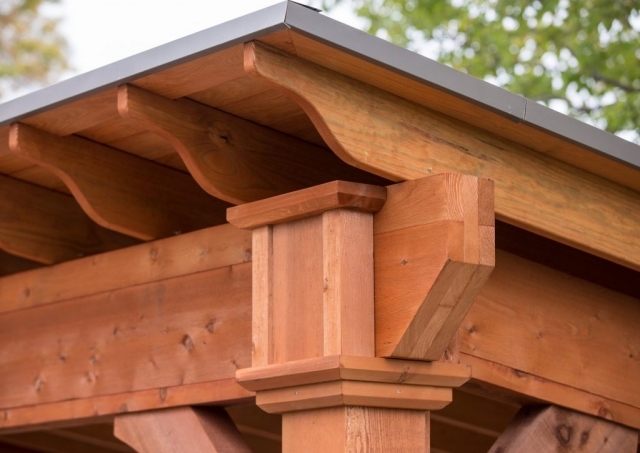 These hand-built durable, stylish and quality-built structures add beauty and value to your backyard or patio that will last for years to come. Visit our store to learn more. 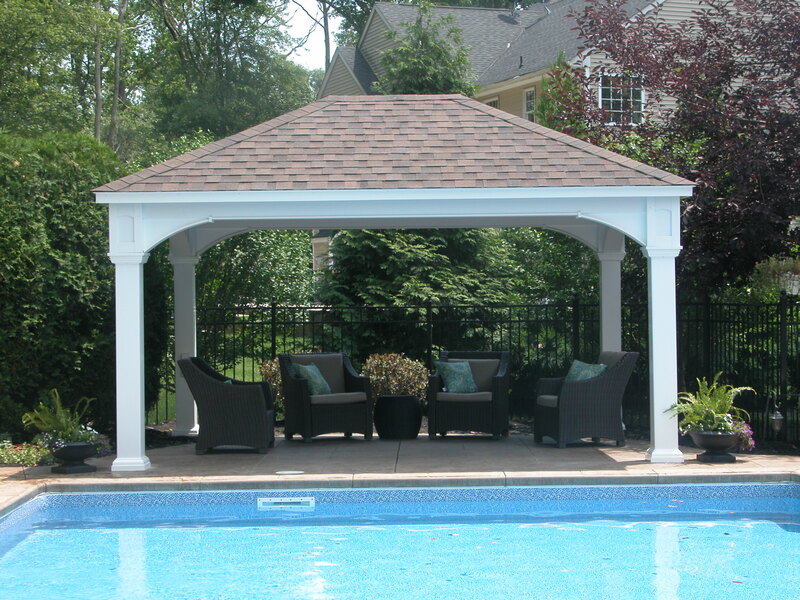 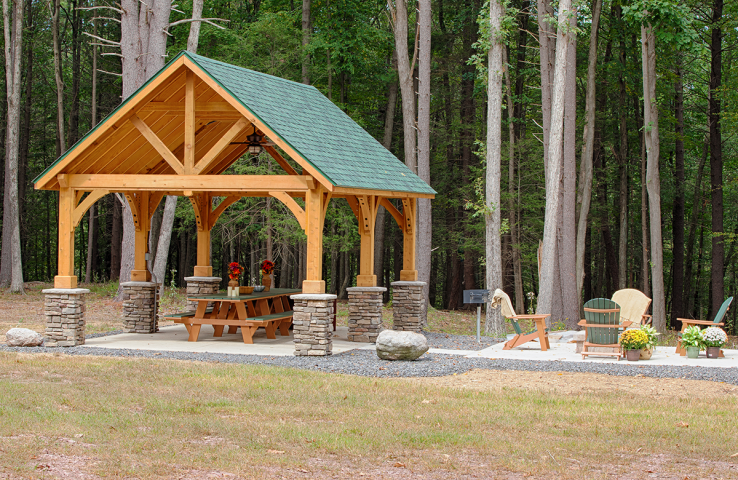 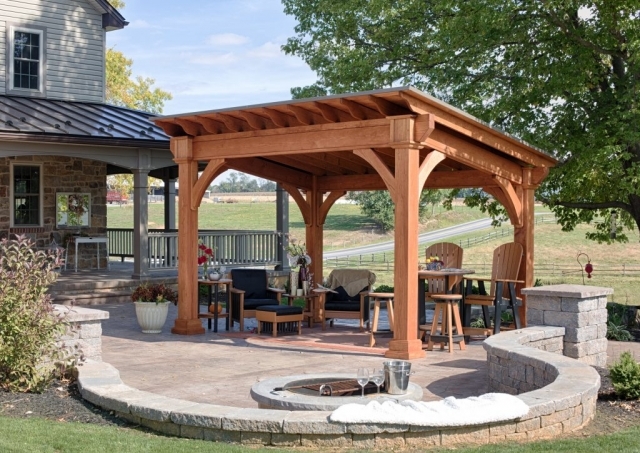 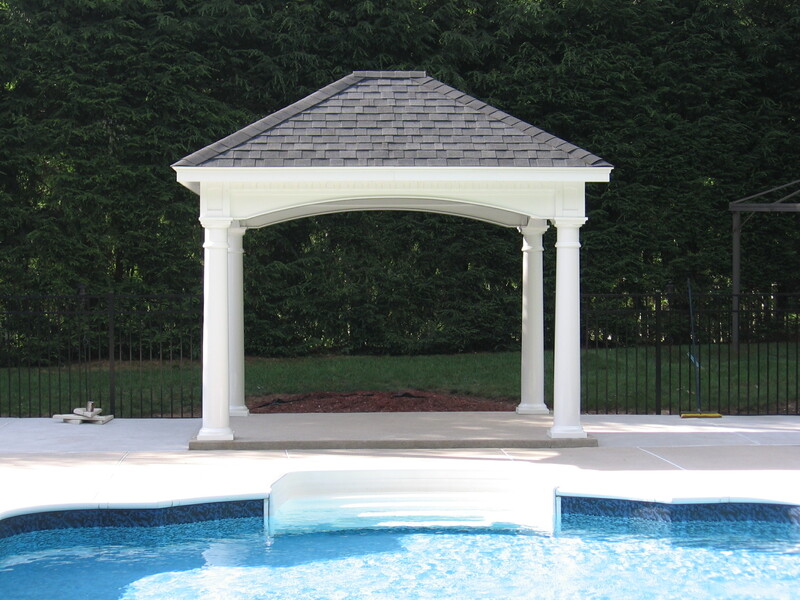 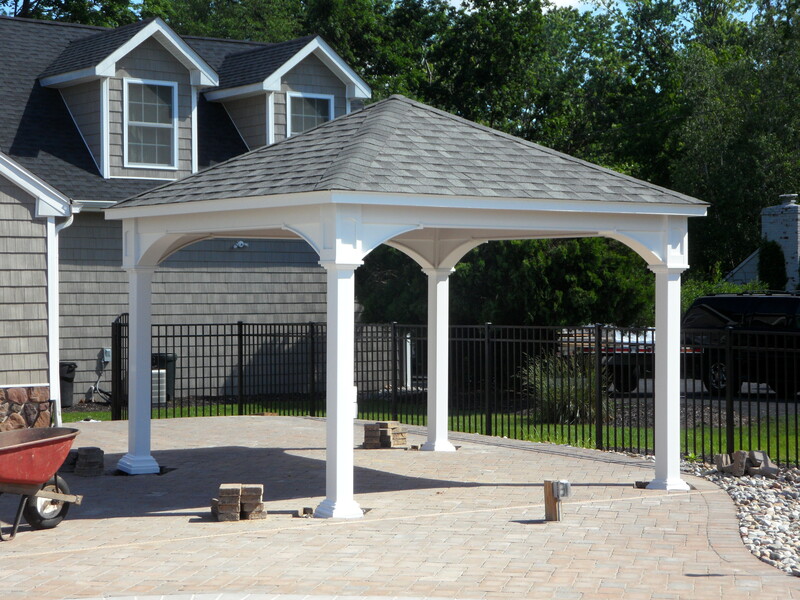 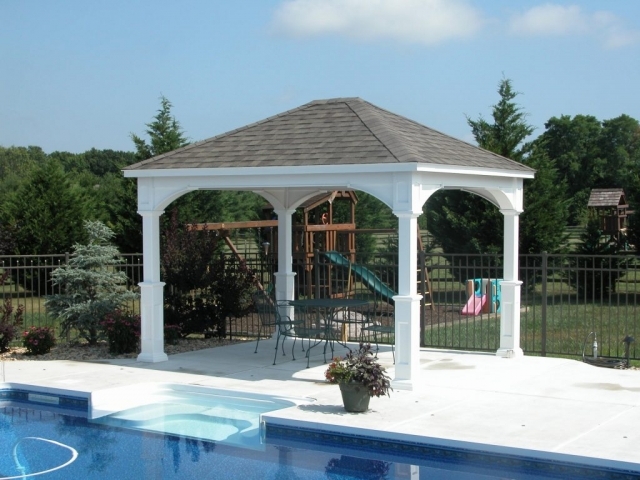 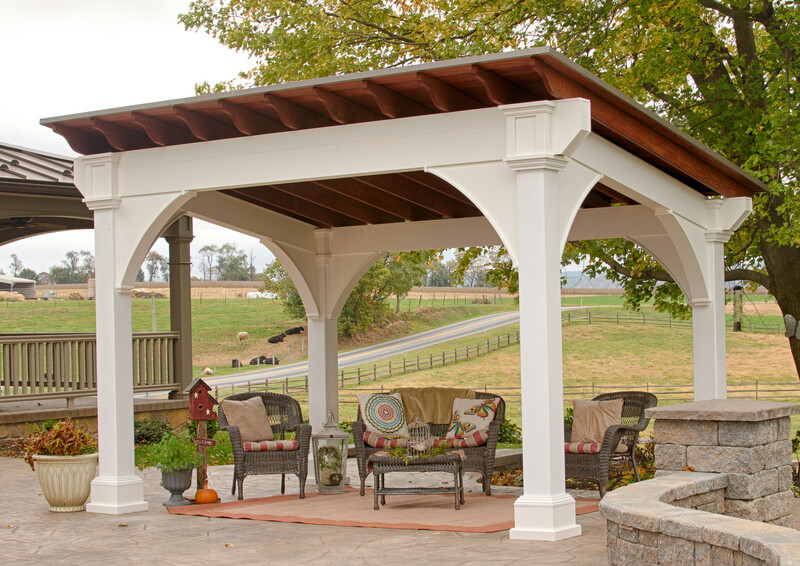 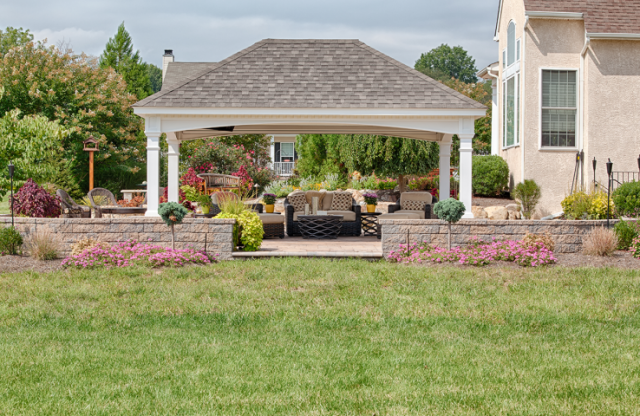 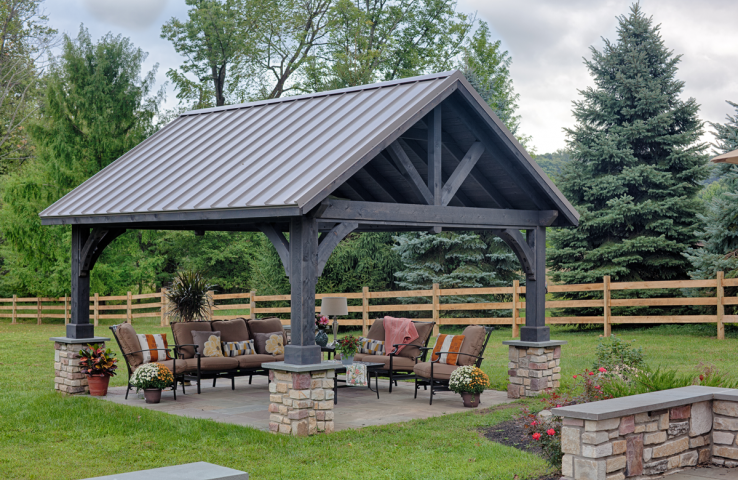 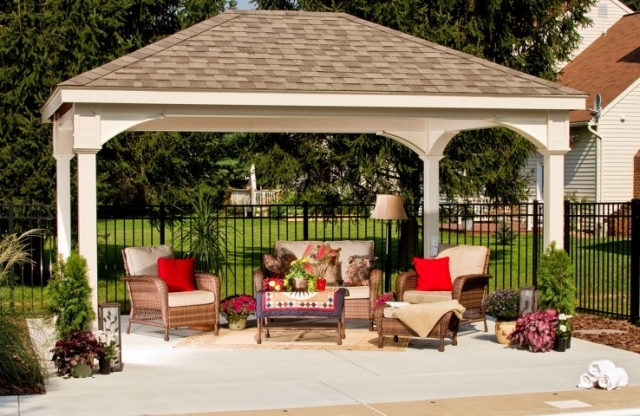 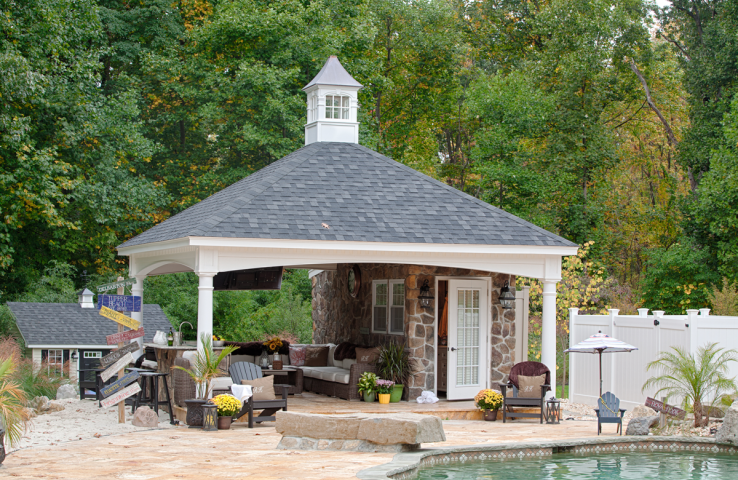 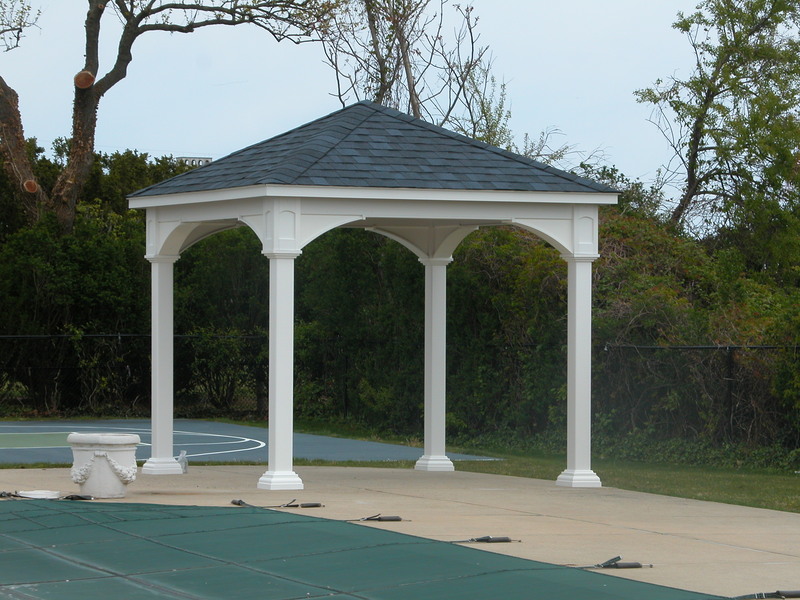 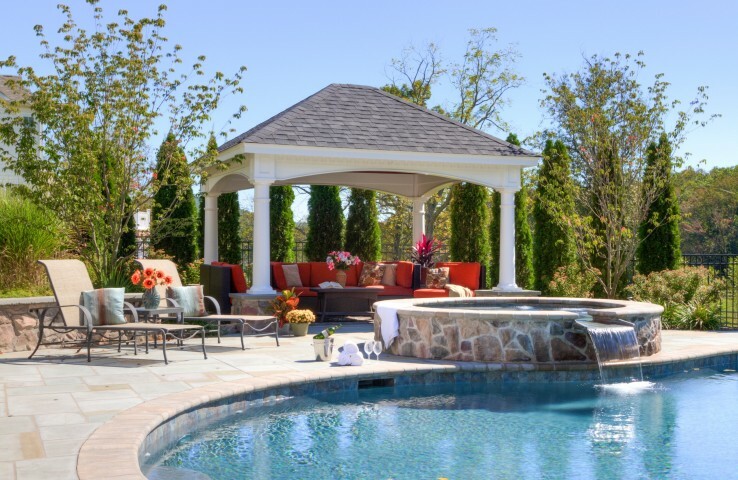 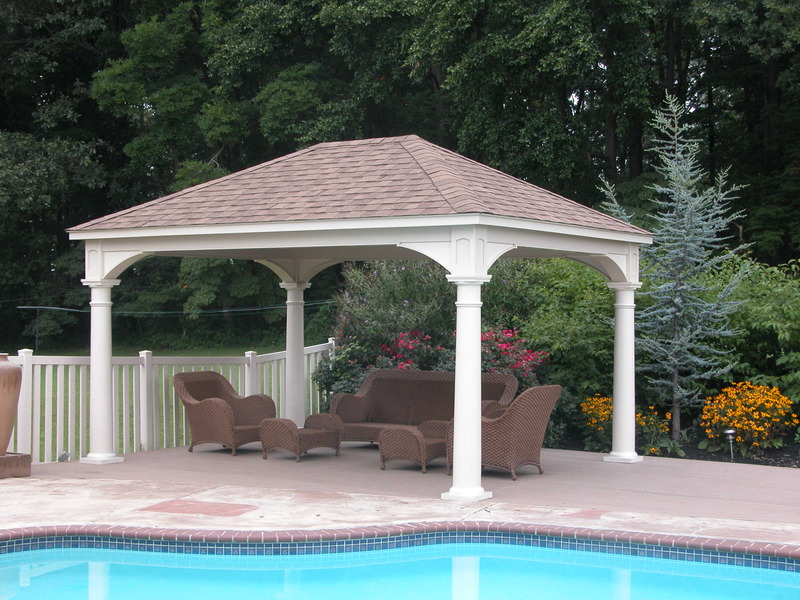 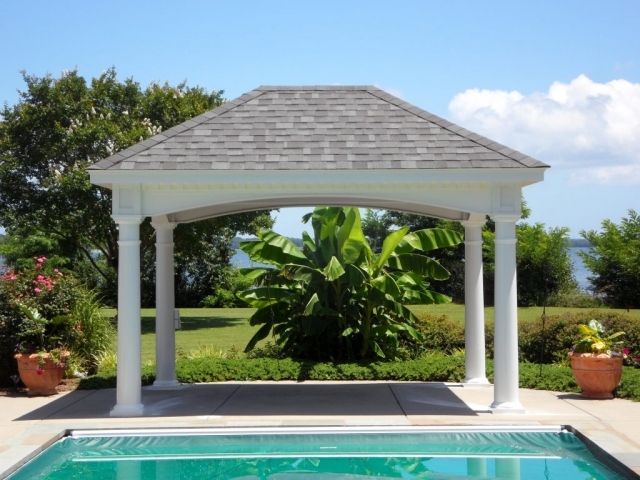 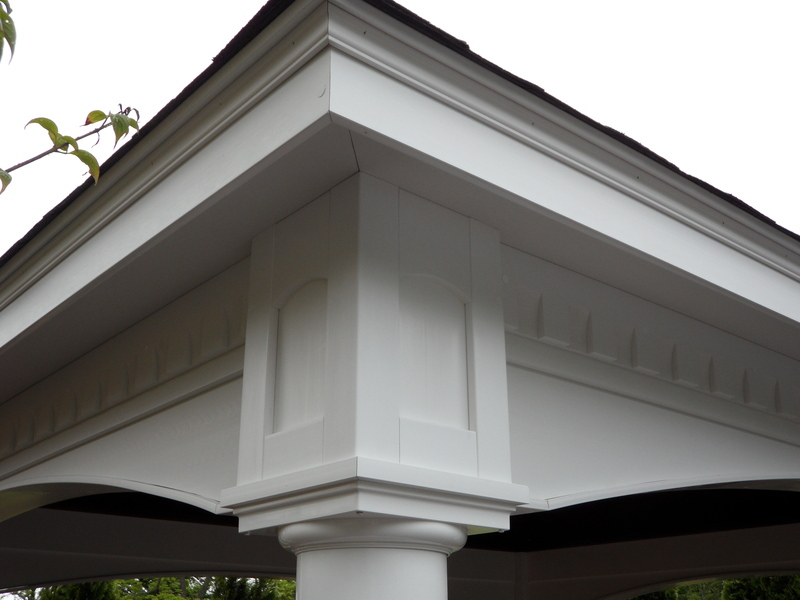 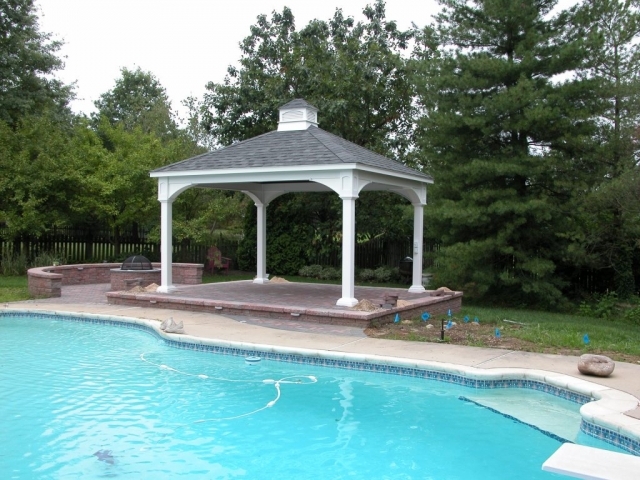 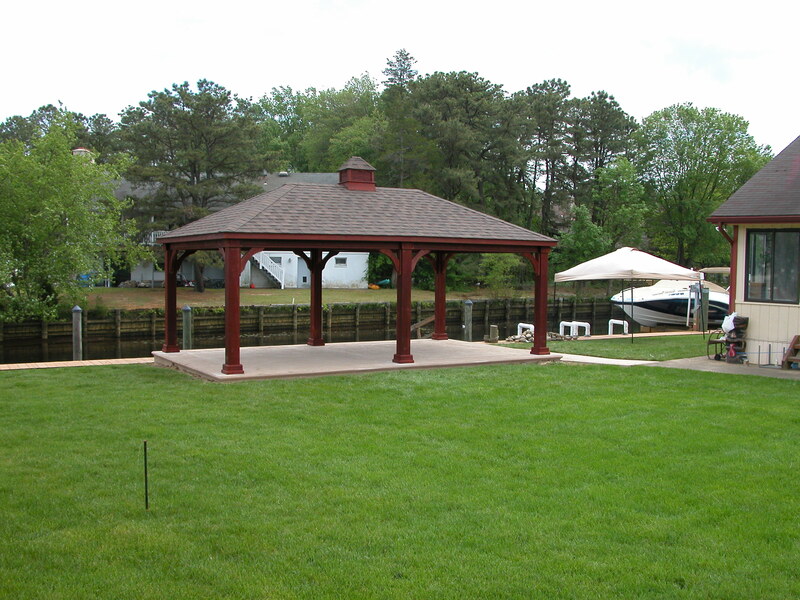 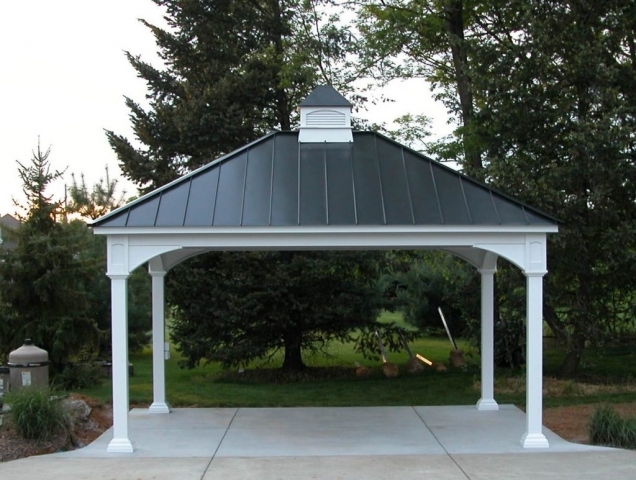 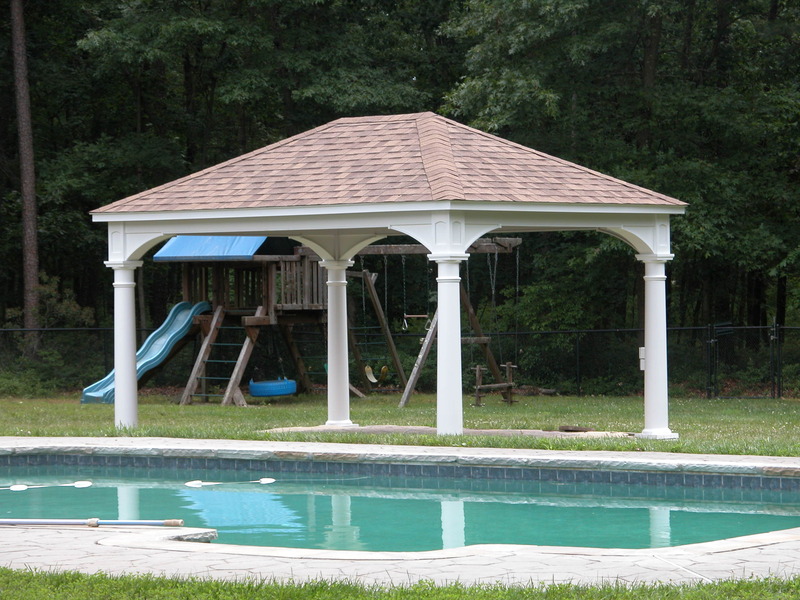 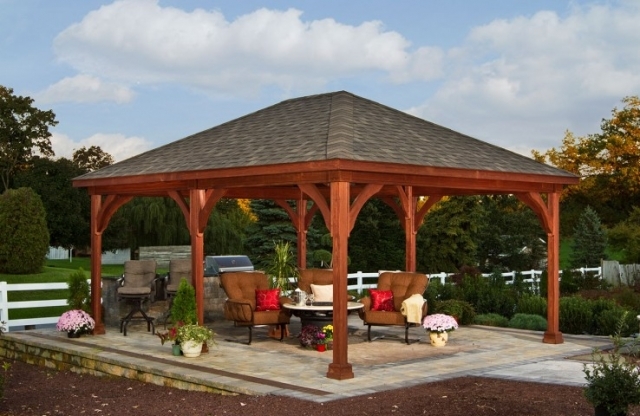 Expand your outdoor space with a beautiful Hampton pavilion. 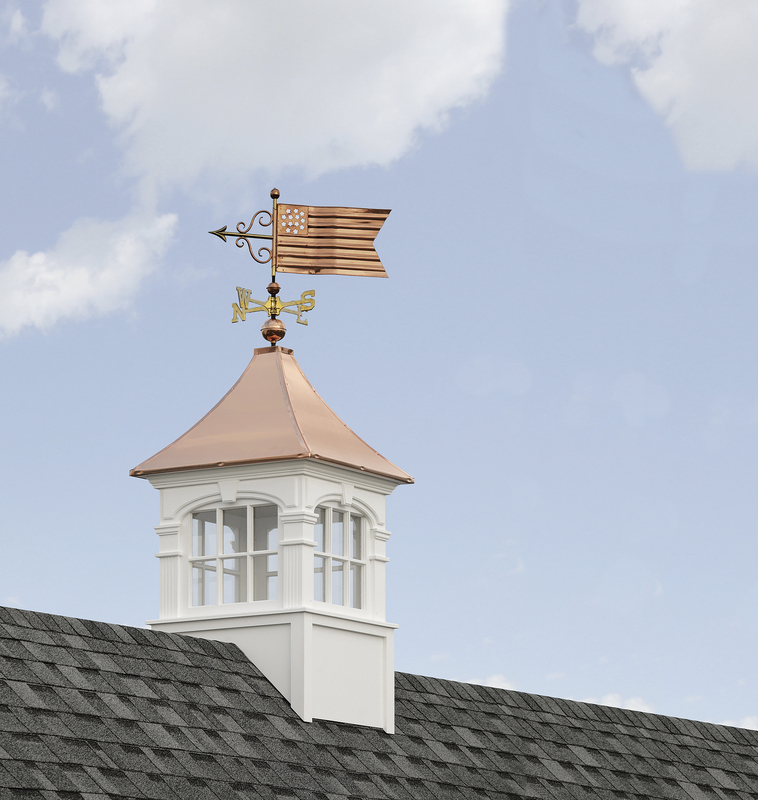 These not only add timeless style and Amish-built quality but value to your home. 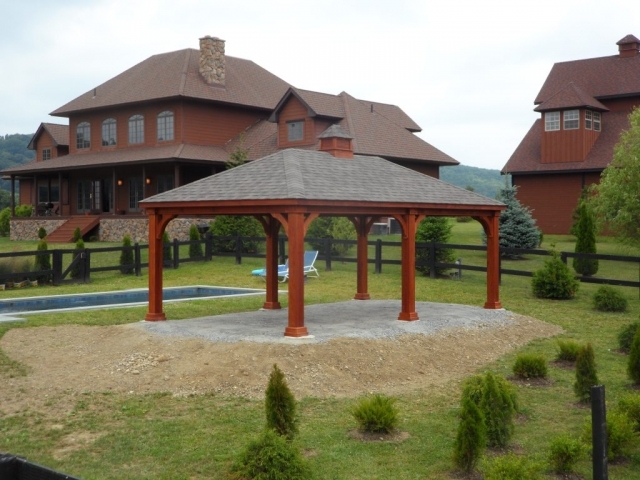 Our Amish structures create a unique outdoor space that’s built to last. 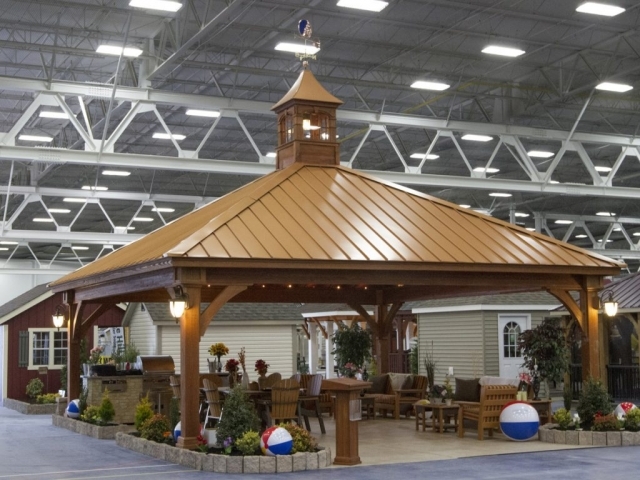 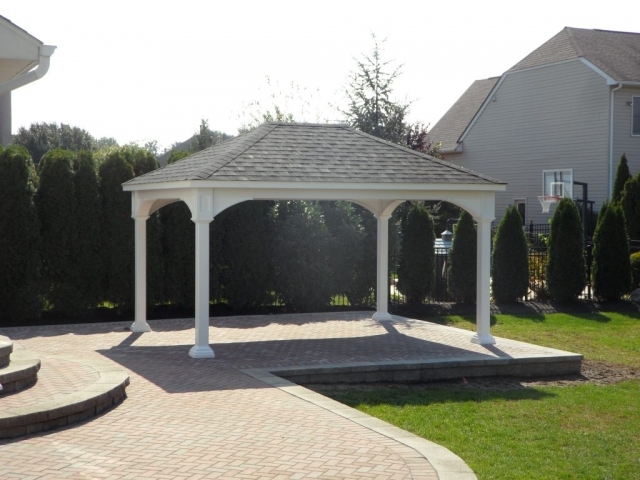 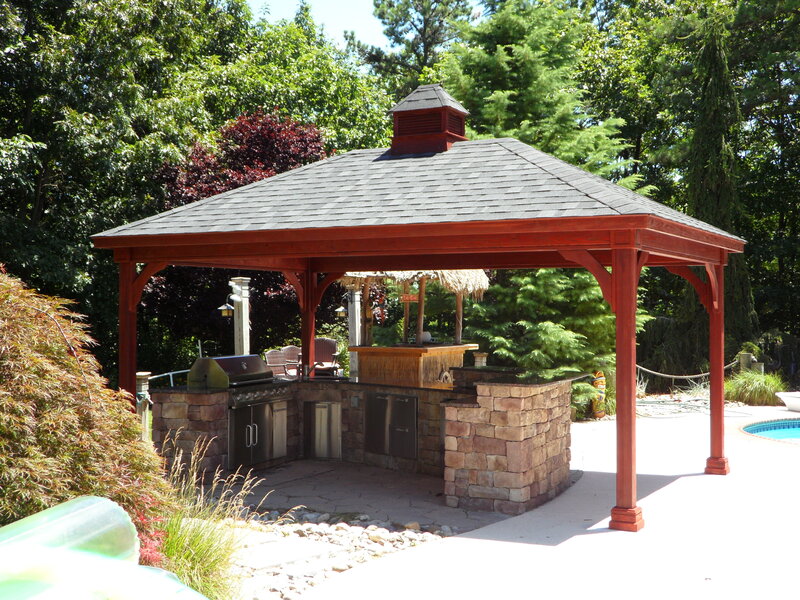 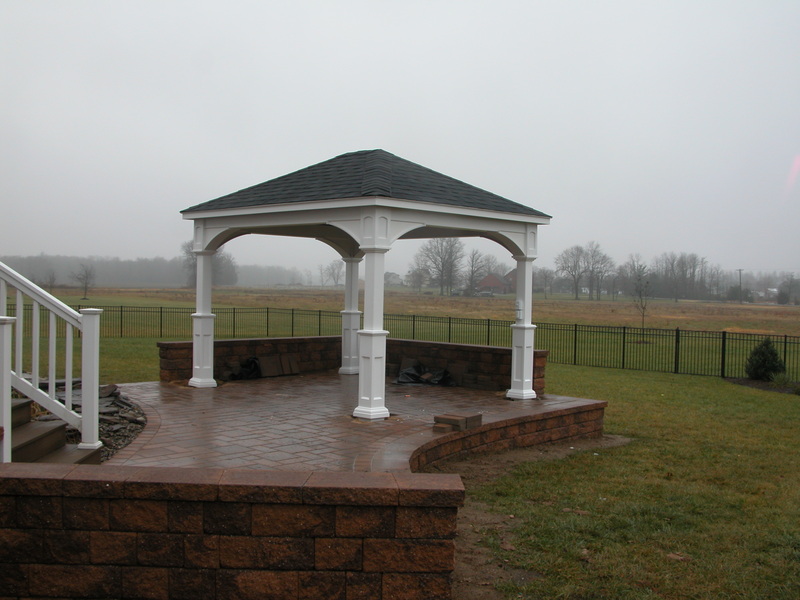 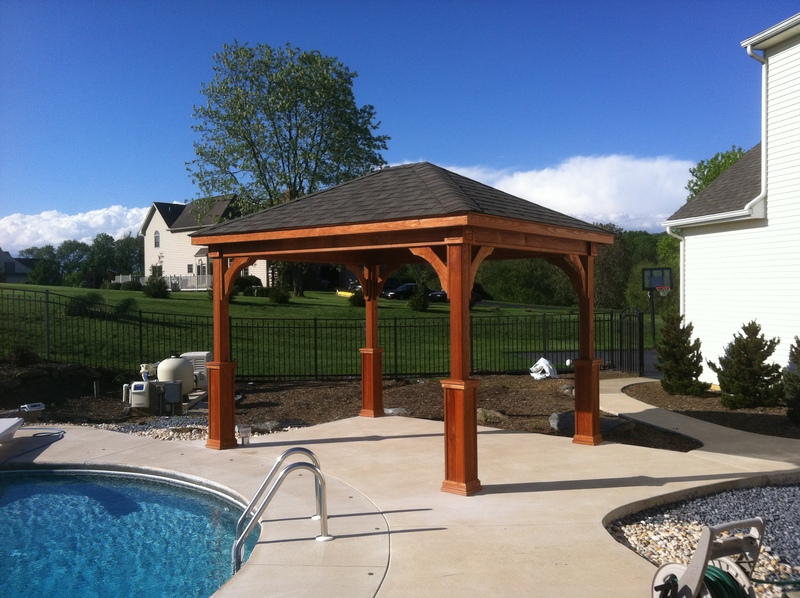 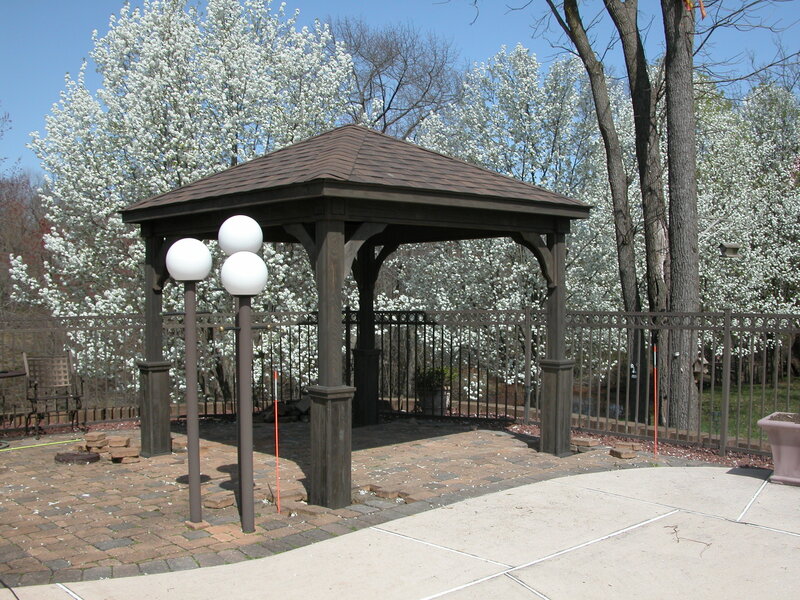 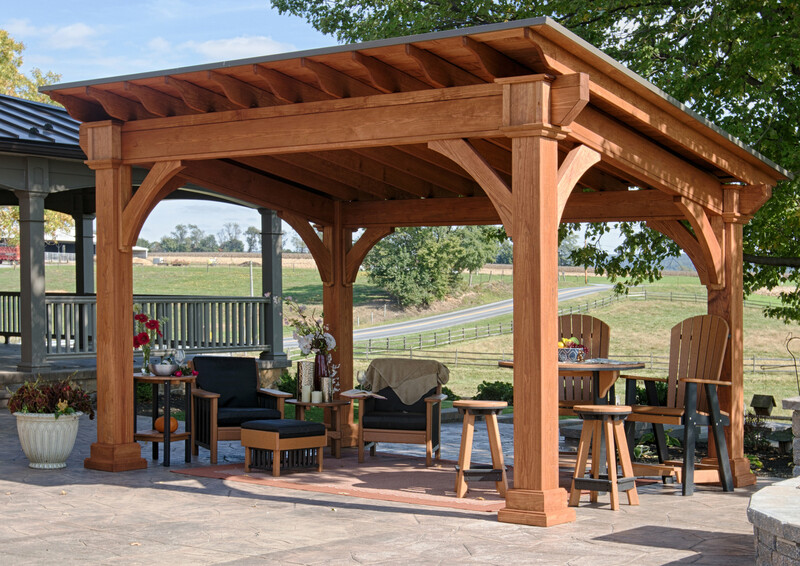 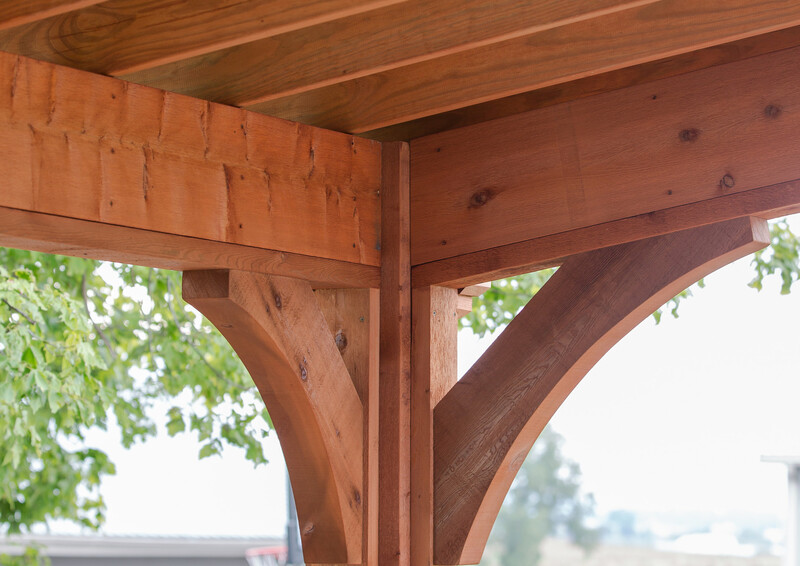 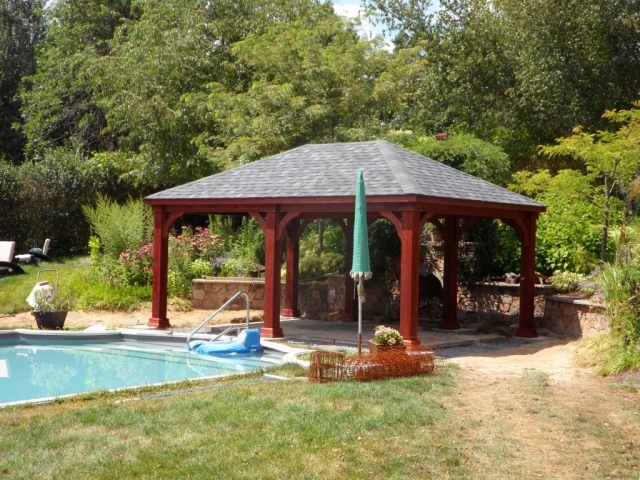 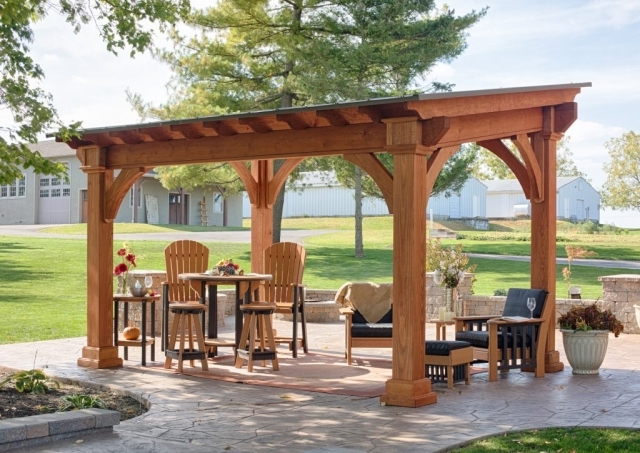 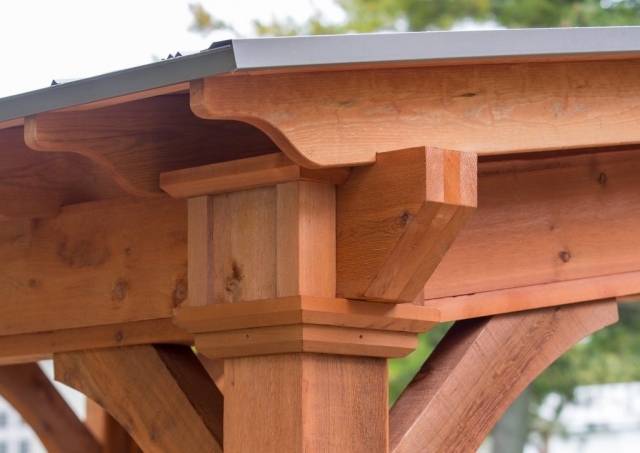 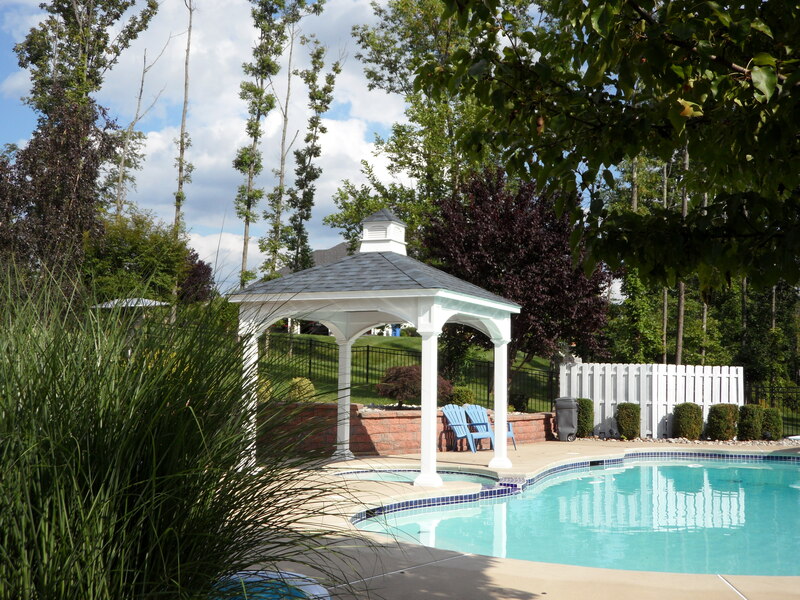 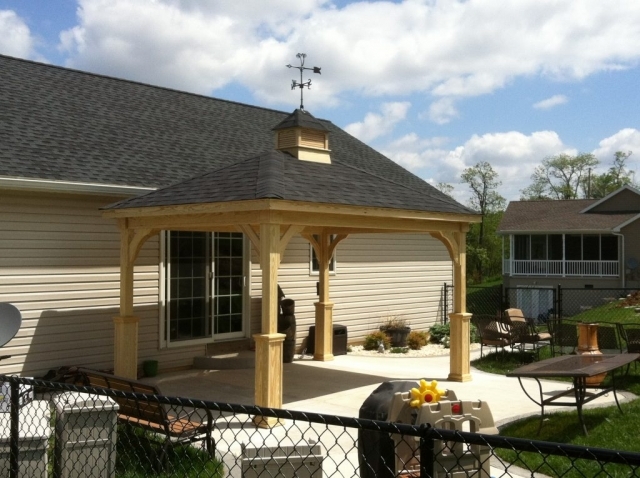 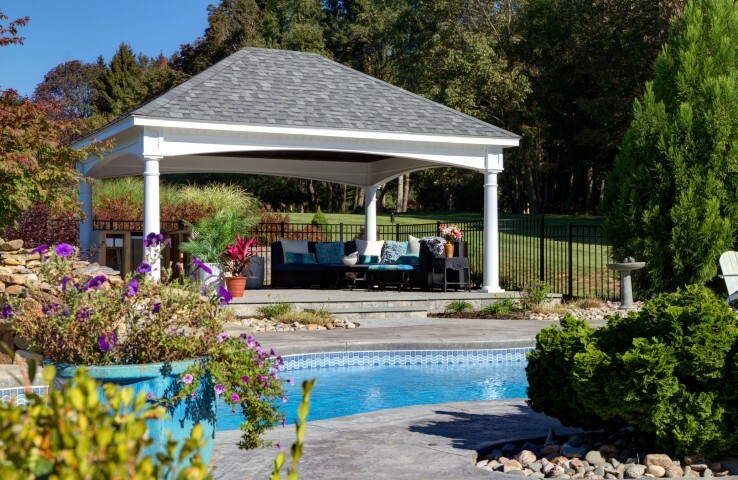 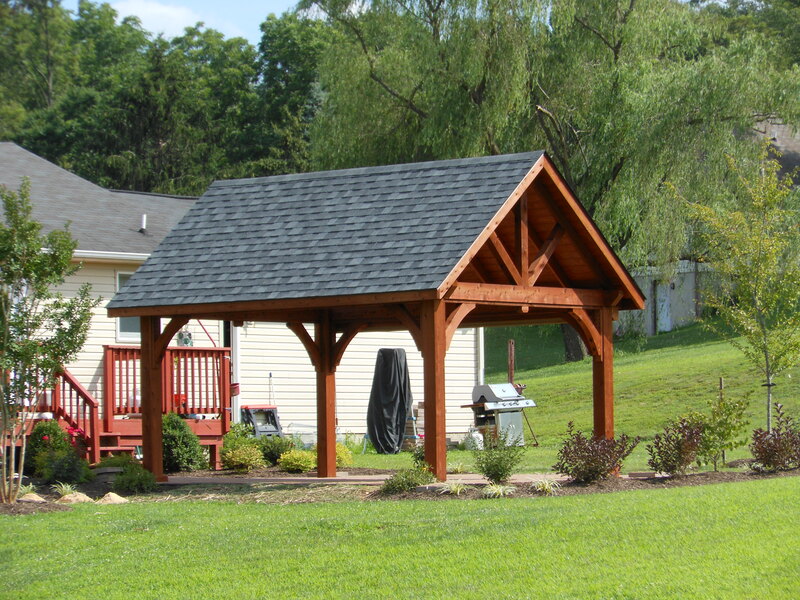 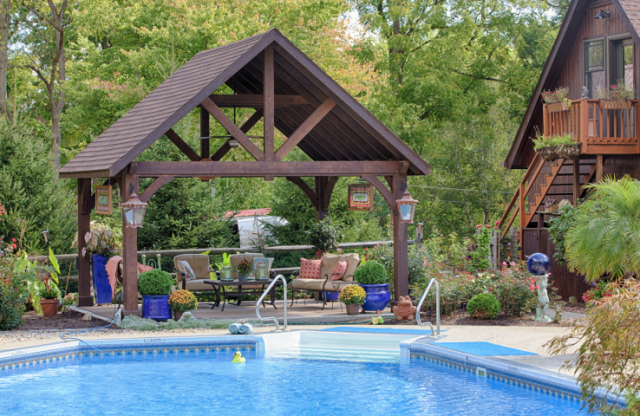 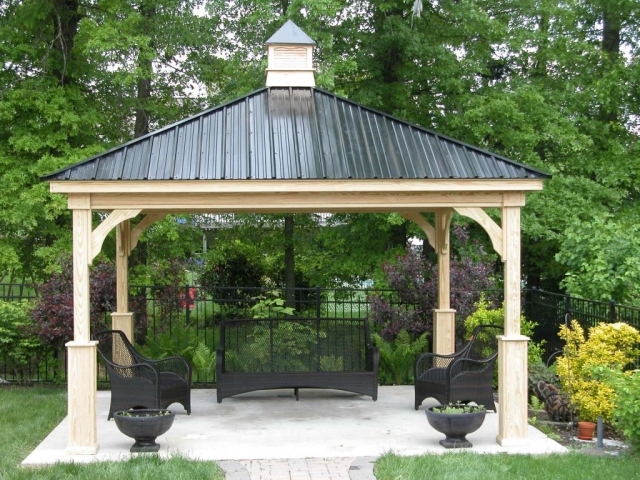 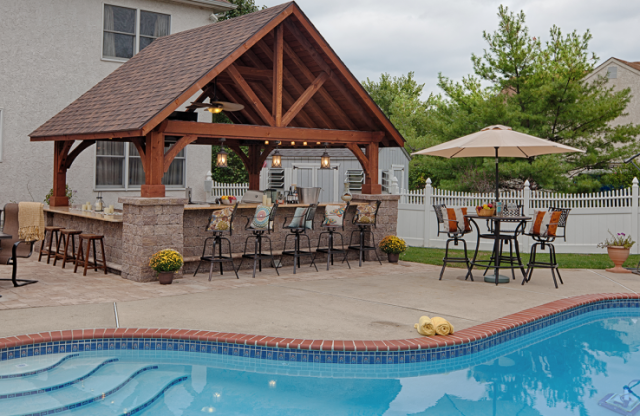 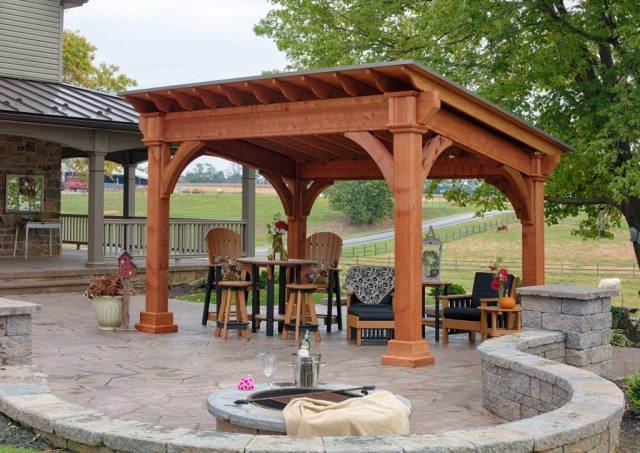 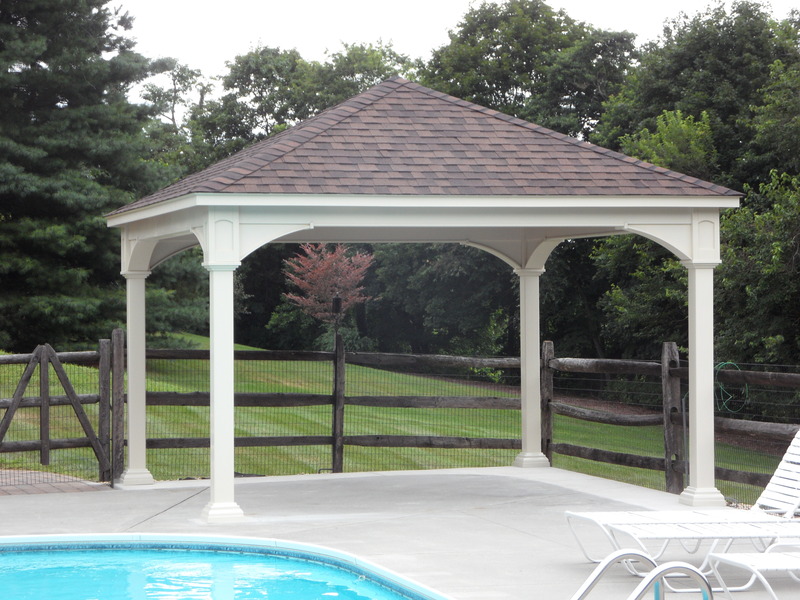 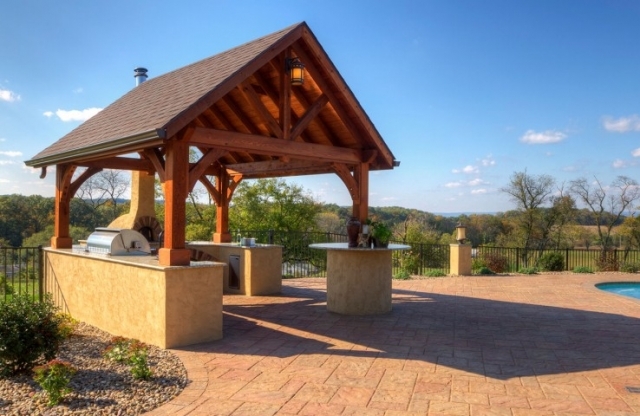 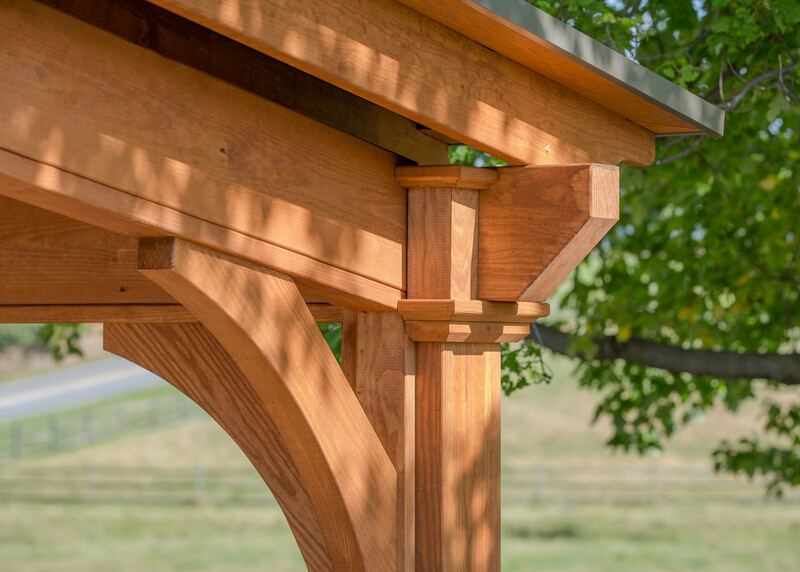 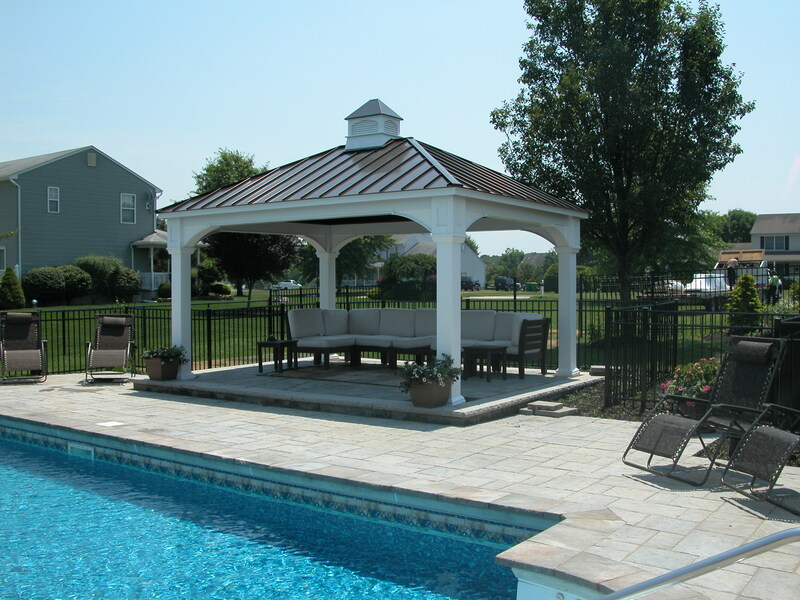 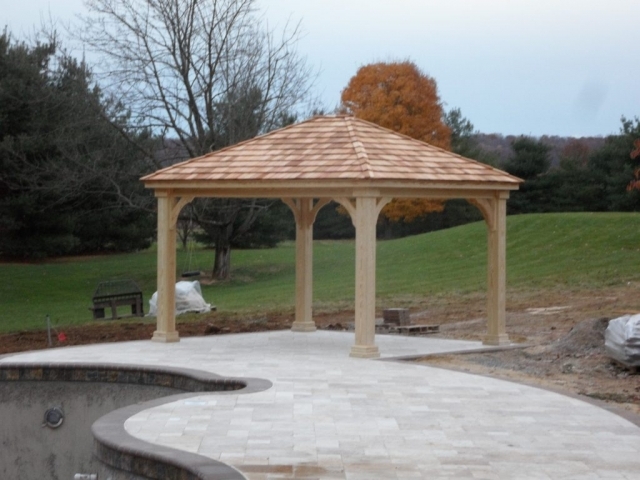 Our traditional, Amish-built backyard pavilions offer a practical solution for your outdoor living space. These affordable structures are available in both wood and vinyl styles and are perfect to keep you shaded from the sun and out of the rain. 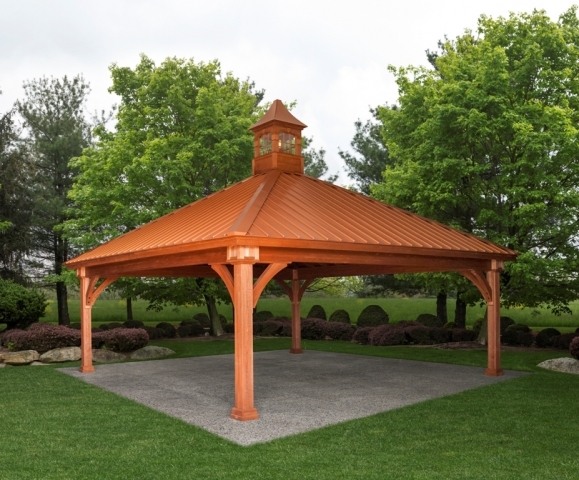 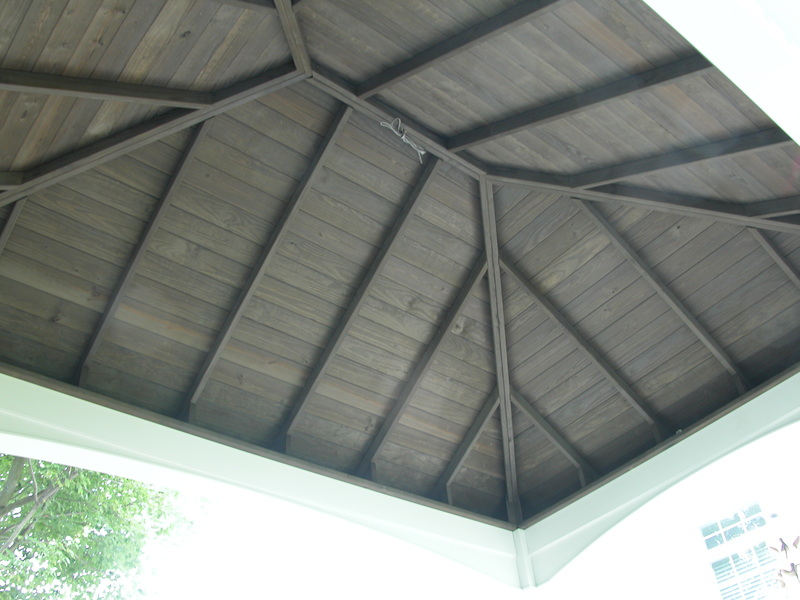 Our stylish Santa Fe Pavilion provide protection a functional outdoor space with a stunning decorative appeal. 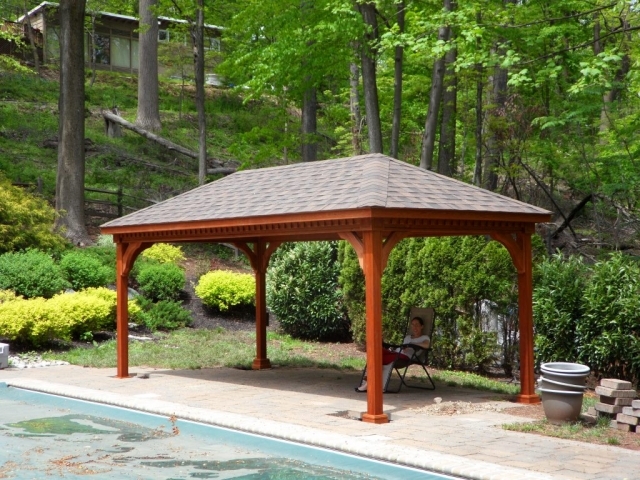 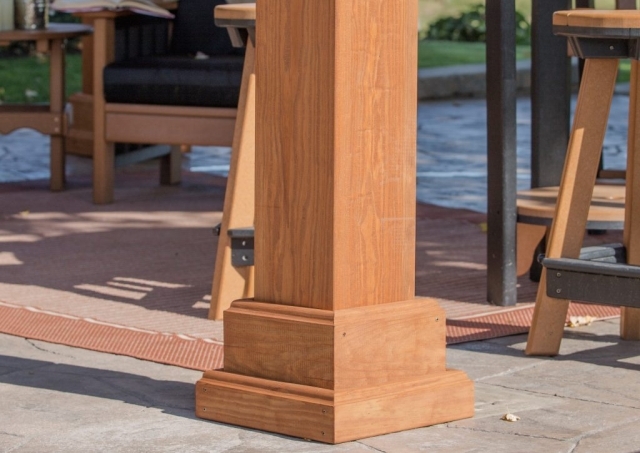 They are available in your choice of wood or vinyl in a variety of colors, stains, styles and sizes.